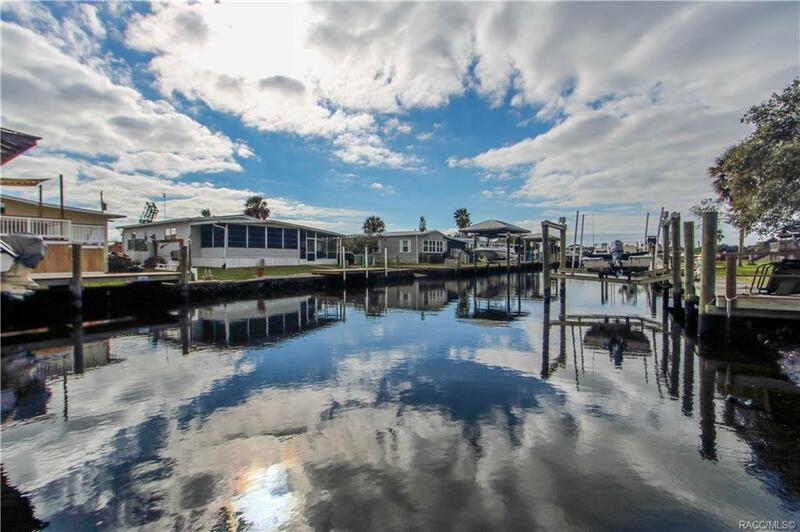 Bring your boats to this lovely two bedroom two bath double wide with a heated pool on the Homosassa River! Home has been elevated above flood plain and has 1 month rental minimum. This gem features a nice open kitchen, fireplace, hard wood throughout the main areas & ceramic tile floors in the bathrooms, walk-in closets, his & her vanity sinks, hurricane shutters, a Florida room & gorgeous waterfront views. Outside, the pool area is screened in & has a hot tub! Additional features include: a fish cleaning station on the dock, manual sprinkler system in the front, a workshop with a sink with both hot & cold water. Centrally located in Homosassa to all the waterfront restaurants including the famous Freezer and Monkey Bar. Great location for inshore or off shore fishing, kayaking and manatee viewing. Directions: Take 19 To Homosassa, Take Fishbowl, Yulee Dr & Mason Creek Rd To W Brightwater Ct.